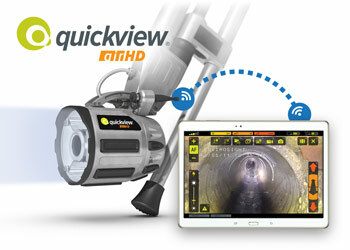 The Quickview airHD zoom camera provides an instant, wireless view into any sewer. It captures HD video and transmits it wirelessly to a touchscreen tablet for live viewing. The tablet also allows fingertip control of zoom, illumination and tilt, as well as video recording, playback, annotation and sharing. 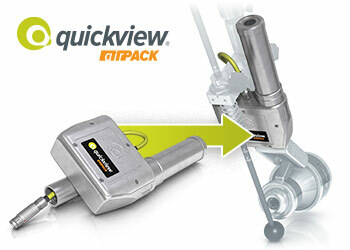 Quickview airHD also features motorized tilt, in-manhole centering and hands-free stabilization. The ultimate accessory for your Quickview Haloptic, the airPack lets you get rid of your cable, vest, battery and controller. It installs between the camera head and pole, letting you view live video, record footage, and control illumination, zoom and text overlay—all from a touchscreen tablet. 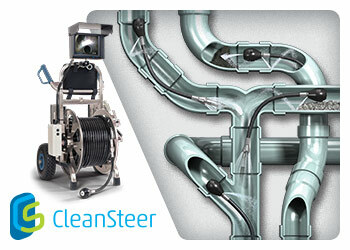 Pipeline Renewal Technologies’ CleanSteer lets you view drain lines as you jet them ... and we'll be demonstrating it right in our booth. CleanSteer uses directional high-pressure water for propulsion and cleaning, as well as to steer through multiple bends and hover over debris. 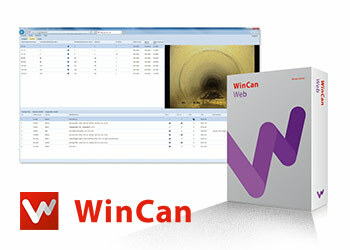 WinCan Web gives you all the tools you need to store and share inspection data on the cloud with maximum ease, security and scalability. This browser-based tool makes any device a portal for understanding sewer condition. It will be installed on computers and tablets throughout our booth. 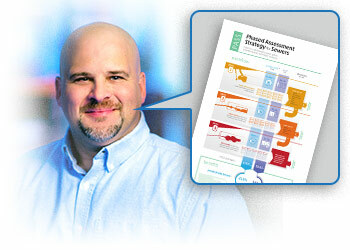 Steve Sebastian, our Channel Development Manager, will be giving an important presentation entitled Phased Assessment Strategy for Sewers (PASS): Understanding Sewer Condition Quicker with Fewer Resources. Catch it Thursday, February 18 in Room 140-142. Booth 6018 is where all the action will be at this year's WWETT Show. The show will be February 18-20, 2016 at the Indiana Convention Center. Don't miss out.